The computer POST (Power On Self Test) is the first step the CPU takes to ensure all the PC Hardware is working correctly and the Computer Beep is the most important sound that can help identify where the problem is.Different computer BIOS manufacturers set different beep codes for identifying hardware problems,but all the beep code information is not easily available for the end user and confusing. 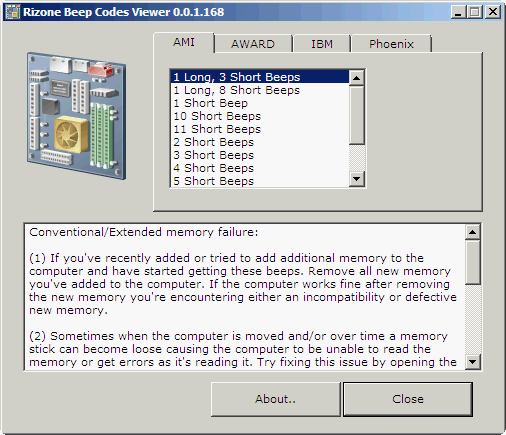 Beep Code Viewer is a portable tool that can help understand the beep codes of various BIOS Manufacturers like AMI, Award, IBM, Phoenix. 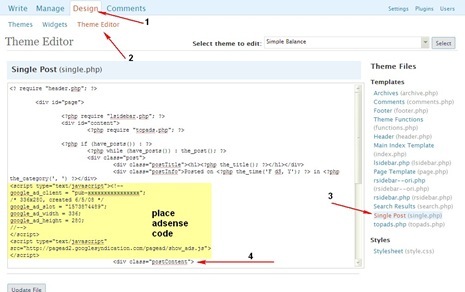 If the computer fails the POST, the computer will either not beep at all or will generate a beep code (or a combination of different beeps indicating what is causing the problem), if the system passes the POST the system generates a single / 2 beeps (differs based on BIOS Manufacturer). Beep Code Viewer is a portable app that can run from a USB Drive without installation and works on all Windows OS including Windows 7.